I love me some freezer meals. 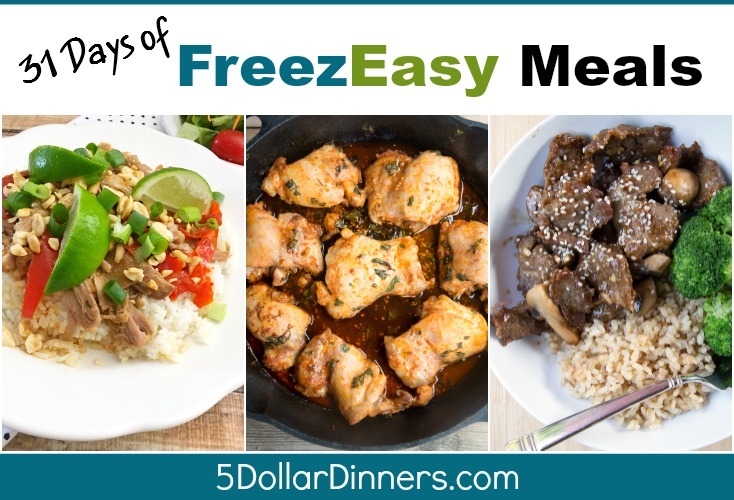 And I’d be remiss if I didn’t close out our 31 Days of FreezEasy Meals series, without sharing some of my favorite freezer meals with you! I love how freezer meals help you get “one step ahead,” they help you make decisions ahead of time…so that you don’t have to make the call about dinner at 5 pm when the “Decision Fatigue” is at it’s worst. I love how they just take the stress out of the already chaotic and busy dinner hour. I love that if I get held up at an afternoon appointment, I can text my husband and ask him to pull sloppy joe sauce out of the freezer, put it in a bowl of warm water, and have it reheating in the skillet in 15 minutes. I love that I can easily get dinner going in the morning in the slow cooker, despite the circus like atmosphere that happens with getting 4 kids ready about out the door every morning. I just love them. And I hope you’re starting to love them too. 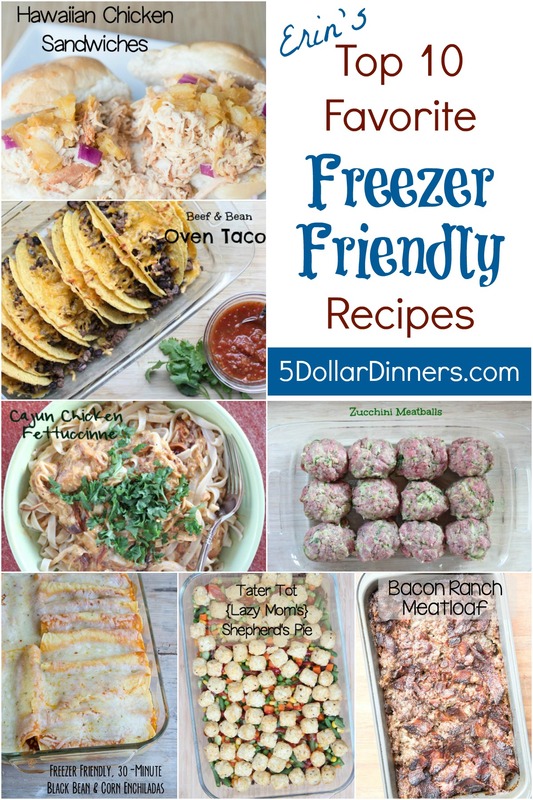 And, see ALL of my freezer friendly recipes here!